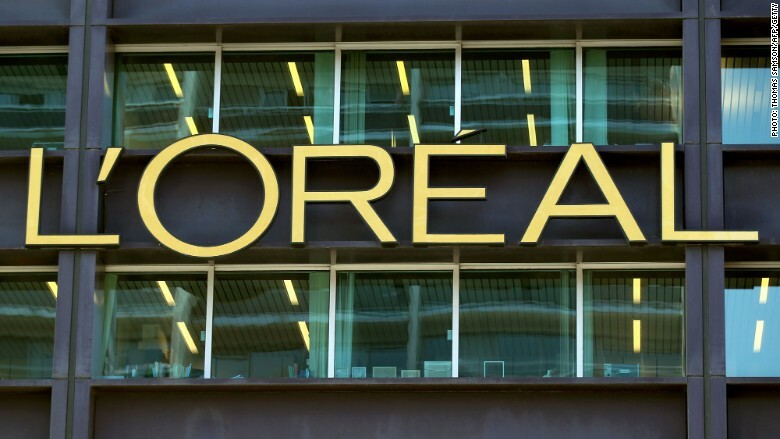 What next for L'Oreal after billionaire heiress dies? What happens to a business empire when its owner dies? Thursday's passing of Liliane Bettencourt, the billionaire heiress of L'Oreal founder Eugene Schueller, has thrown the future of the world's leading cosmetics company up in the air. Bettencourt was closely involved in L'Oreal (LRLCY) for most of her life, presiding over the family's 33% stake. Now her legacy could be the biggest ownership shakeup in the French firm's 108-year history. 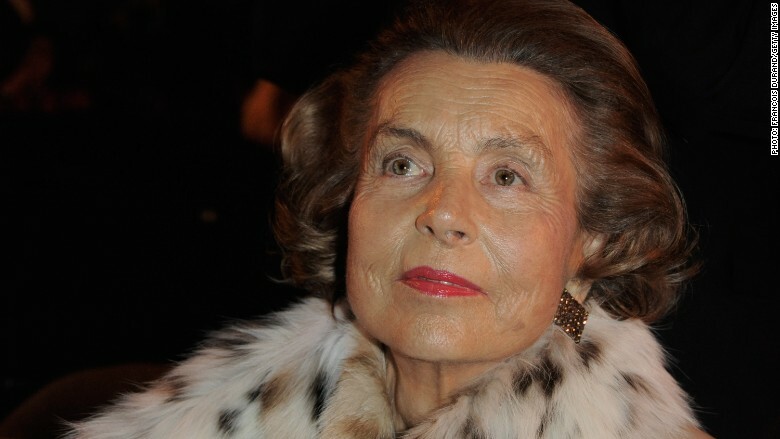 Back in 2004, Bettencourt and Nestle (NSRGF), L'Oreal's second biggest shareholder, agreed that neither of them would increase their stakes in the company during her lifetime, and for six months after her death. The deal was designed to secure the family's influence over L'Oreal and prevent Nestle mounting a takeover. The agreement will lapse in March 2018. "Bettencourt dies. Clock is now ticking," analysts at Jefferies wrote in a note. "What should be respected as a melancholic end to an era for the Bettencourts is now set to be subsumed by speculation around the future of Nestle's 23% stake in L'Oreal," they added. Shares in L'Oreal jumped as much as 4% on Friday on the possibility that Nestle might make a move to increase its stake -- possibly via a takeover. But it is far from clear whether the Bettencourt family would want to sell its stake. In a statement Friday, it said it was entirely committed and loyal to L'Oreal. Nestle said it was "not the right time to make a comment" when asked about the future of its stake. "We express our most sincere condolences and deepest sympathy to Mrs. Bettencourt's family and to all at L'Oréal at this difficult moment," a spokesman said. Liliane Bettencourt has died aged 94. However, some analysts say Nestle may be thinking about ditching its stake in the medium term. "We think a disposal... is more likely than a takeover given the diverging strategic paths of the two companies over the last decade," analysts at UBS said. That would certainly please some Nestle investors, chief among them hedge fund star Dan Loeb, who disclosed a $3.5 billion stake in Nestle in June. Loeb described Nestle's stake in L'Oreal as "not strategic" and suggested shareholders should be free to choose whether they wanted to invest in Nestle or L'Oreal, or some combination of the two. Nestle first bought a stake in L'Oreal in 1974, when the family was worried about the company being nationalized. Bettencourt joined her father's company as a 15-year old apprentice, and inherited his stake in 1957. She served on the company's board until 2012. She stepped down from the board at the age of 89 and was succeeded by her grandson after a bitter legal dispute with her daughter, Francoise Bettencourt-Meyers, who argued Bettencourt was not mentally competent to handle her own affairs. For years, the so-called "Bettencourt Affair" captivated France. At the height of the scandal, when Bettencourt-Meyers sought legal action to have her mother declared incapable, the heiress gave a series of feisty interviews in which she told her daughter to mind her own business. -- Sherisse Pham and Jethro Mullen contributed to this report.